Service Department Everything You Need to Keep You Moving! 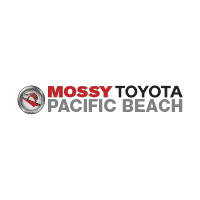 Mossy Toyota, we have a proud history of helping San Diego commuters find the Toyota car, truck, van or SUV of their dreams. As a proud member of the family-owned and -operated Mossy Automotive Group, which has been serving customers since 1921, we have plenty of experience when it comes to making drivers happy. With our commitment to selling high-quality Toyota vehicles, we provide every driver who walks through our doors with a dependable, long-lasting car that will keep them safe and cheerful on the road.